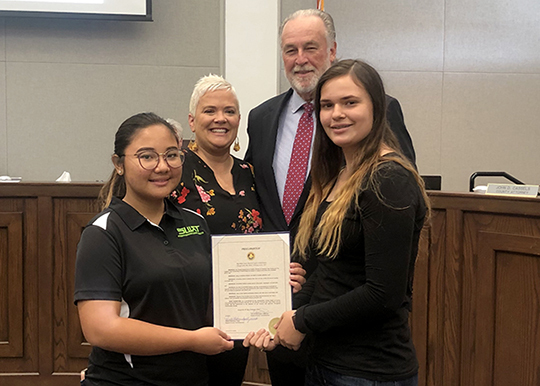 Okeechobee County Board of County Commissioners Proclaim February 18-24 as "Through With Chew Week"
Okeechobee County – On February 14, 2019 Okeechobee County Tobacco Free Partnership of Okeechobee and Okeechobee Students Working Against Tobacco (SWAT) chapter was awarded a proclamation from the Okeechobee County Board of County Commissioners declaring February 18-24, 2019 Through with Chew Week. Through With Chew Week campaign’s objective is to educate people about the dangers of smokeless tobacco. Okeechobee High School SWAT President and Vice President spoke to the commission on smokeless tobacco use in local teens and provided data that Okeechobee youth have a rate of double the state average for youth who use smokeless tobacco on a daily basis. Chewing tobacco contains at least 28 chemicals that have been found to cause cancer in the mouth, esophagus, and pancreas. Treating oral cancers can involve removal of tissue and bone including the tongue and jaw. 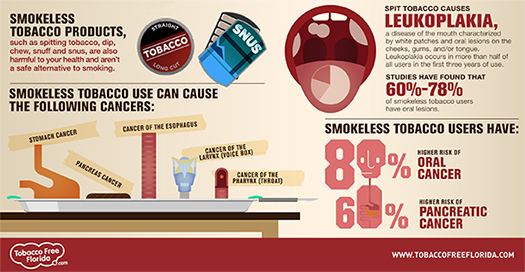 Smokeless tobacco can also cause gum disease, heart disease, and precancerous mouth sores. On average, chew products deliver a higher dose of nicotine than cigarettes making the product more habit forming. For more information on local tobacco prevention efforts, contact Courtney Moyett at: CMoyett@QuitDoc.com.